It’s a dirty business. And we love it. Back in 1996, Prins Insurance dug into the dirt-moving business and created the Iowa Land Improvement Contractors Association (LICA) insurance program. And we’re just as excited about the land improvement industry as we were then. Today, Prins specializes in dirt-moving contractors and their subcontractors, and we’re involved on a national level, managing the LICA program in 15 states and helping other insurance agencies who offer it to their clients. We have been awarded the “associate of the year” in multiple LICA chapters. Why? 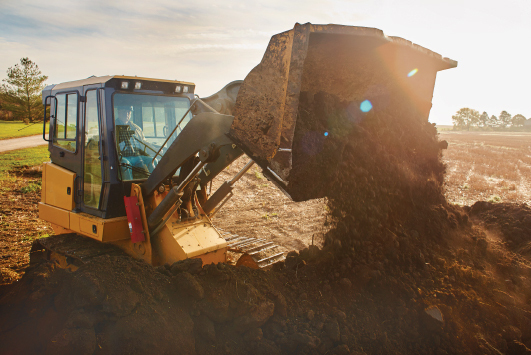 Because nobody knows the insurance needs of the dirt-moving business like we do. We’re not only willing, but eager to visit contractors on-site where we can see the dust fly. On construction sites, at annual conventions, wherever land improvement contractors go. We want to understand the industry and its insurance needs. We evaluate. We use what dirt-movers tell us to improve the LICA program. We help agents sell the LICA program, sharing our passion for insuring land improvement contractors. We create marketing materials for agencies who sell the LICA program to their clients.